Practicing good oral hygiene is of the utmost importance. To ensure all our Burnaby dental patients maintain healthy, clean, and fresh teeth and gums, we encourage them to schedule regular check-ups and cleanings with our highly trained dentists every 4-6 months.  Everyone at Bainbridge Dental Clinic in Burnaby, BC is here to help you with any questions or concerns you have regarding daily dental practices like brushing and flossing. Velscope: Our Bainbridge Dental Office on Lougheed Hwy in Burnaby is dedicated to both help you maintain a beautiful smile and to your overall wellness and health. We take a slightly different approach to your care, which includes a screening for oral cancer as part of your regular exam. Like other cancers, oral cancer is life-threatening if not diagnosed and treated at the early stages. Before anything is done inside your mouth our Burnaby Dentist will need to know about your medical history if this is your first appointment at the dental clinic in Burnaby or, if you have been to the practice before, any changes in your health such as new medications, diabetes, arthritis, pregnancy, etc. It is important that our dental care team knows about any health concerns, anxieties, or allergies you may have in order to avoid incidents and to make sure you get the kind of care you need. The dental exam is different from the initial teeth examination that our hygienist completed as this one is done by our Burnaby dentist. We will use our dental x-rays to see if there is any loss of bone, fractures, or any other abnormality below your visible gum line before moving on to look for issues with jaw alignment, teeth grinding, and oral cancer. Once all of this is done, our Burnaby Dentist should have a full understanding of what your oral health needs are, and will be able to prescribe any necessary dental treatments to prevent or treat your issues. Without an x-ray, many of these problems could go undiagnosed. With an x-ray as a reference, our dentists are also better equipped to prepare tooth implants, dentures, Invisalign, and other cosmetic dental treatments. Hygienists are trained dental professionals who take care of routine dental care, such as regular cleanings and assist dentists in other procedures. They are an integral part of our Burnaby Dental Practice and make up a big part of the team that works to keep your oral health at its best. Awesome video! I just showed my kids and they loved it! Pingback: Burnaby Dentist's Top 3 Ways to Get Rid Of Bad Breath?